When your background is Indian like me, you likely have a huge separate closet devoted to outfits and accessories that are JUST Indian-style. Lehengas, anarklis, bangles, purses, shoes, shawls, Punjabi suits, sarees…the list goes on and on. Just try going for a trip to India without ending up coming back with a suitcase FULL of new Indian outfits to wear. Even when I tell myself I don’t need anymore outfits (hello, I have brand new outfits just sitting in my closet, never worn! ), I always end up falling in love with the latest designs and somehow always end up getting a great deal, so why not right? Once you try on a saree, you WILL fall in love with it. It actually can be quite comfortable and the BEST part is no matter what your body shape is, you can tie a saree in a way to best flatter you. If you want to look taller, keep the pallu long. If you want to show less skin or more skin, you can wrap the saree around you accordingly. You can wear it simple or you can dress it up. There’s SO many ways you can make a saree work for the look you want that it’s no surprise women of all backgrounds have fallen in love with the saree. Just look at some of these women rocking the saree! Well over the years, I have collected a lot of beautiful sarees and it was all fine whenever I got ready with my mom or had a bunch of aunties nearby to dress me. 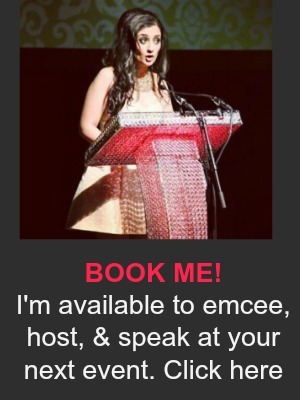 But once I started travelling and especially once I started working in media, I often found myself with an Indian event to attend or host and no one around to help dress me. It can look really hard to tie a saree but let me tell you it’s not! You just need to PRACTICE. Seriously, just take time out when you have no event to attend to practice putting on a saree. You WILL get the hang of it, I promise. If I can do it, YOU can do it. 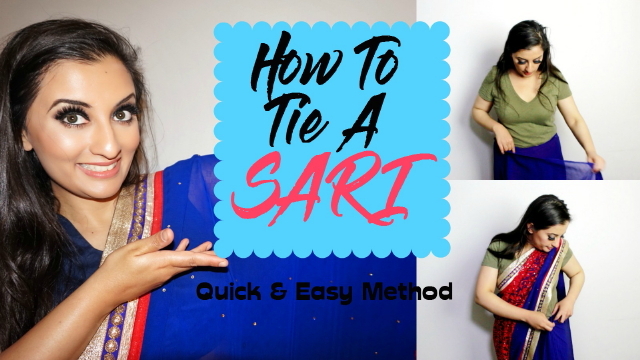 So here is my guide on how to TIE A SARI. Don’t worry, I have made it as easy as possible. Now you can focus on looking just as gorgeous as your favorite Bollywood starlet. 😉 Watch the tutorial below!